Much of Massachusetts has suffered from extreme drought this year. 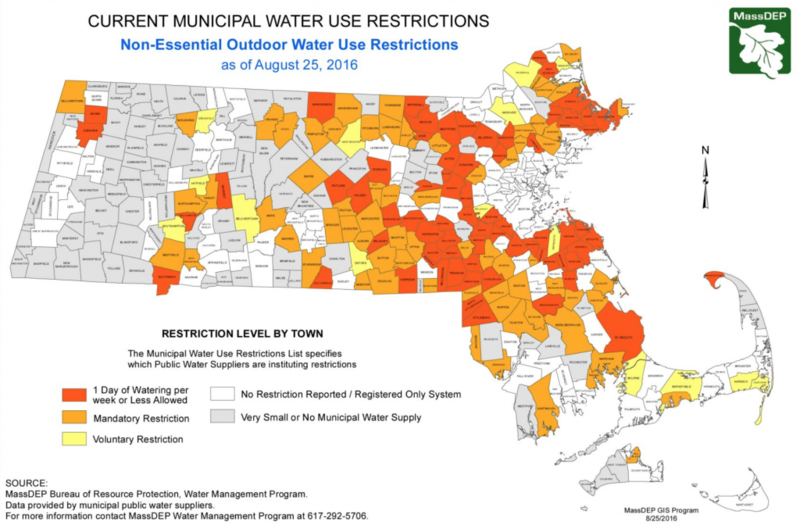 By the end of August 70% of the state was experiencing drought, and more than half of the cities and towns in the state had some type of water ban, limiting water used for “nonessential outdoor watering”. In most homes that means lawn and plant beds. While we have had some rain lately, and temperatures are cooling off, many people ask how to plan for future seasons like this one. Here are a few, practical, things you can do to minimize the affect of drought. -Limit the amount of lawn you have. The notion of lawn size and water resource use is so well studied it is part of the LEED (Leadership in Energy and Environmental Design) criteria for certification. Less lawn requires fewer resources. If there are areas of your property you can transition to plant beds, permeable hardscape, or ground cover, that’s a great start. Though plants do require water to establish, over time the right plant in the right place will be more drought tolerant than lawn. -Consider the time of year when installing new plants. Typically I tell clients we can plant any time of the growing season as long as you can provide irrigation. If irrigation is banned, this window is limited. Try to target new plantings for spring (April through early June) and fall (September through October), avoiding the hottest and driest months of the season. -Read plant tags. 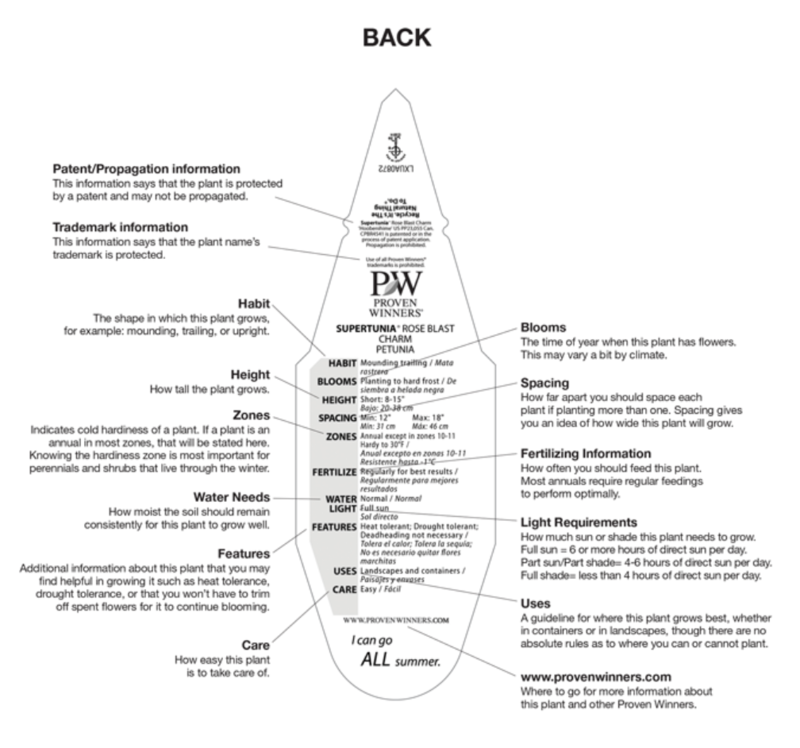 Just like reading a food label in a grocery store, a plant tag provides a lot of information about a plant and the conditions it will tolerate. Look for plants that are well suited to the amount of sun you have in a particular spot, and look for plants that are known to be drought tolerant once established. -Use mulch to reduce evaporation. This can be a thin (1-2″) layer of bark mulch, leaf mulch or even stone. Just don’t keep piling mulch on year after year! You want 1-2″ total. That means choosing a mulch that will decompose over time or removing some old mulch before adding new.